Dr. Anneliese Taylor Haws graduated from The Ohio State Unversity College of Dentistry in 2005. She loves the Buckeyes. Dr. Taylor graduated in 2005 and completed a GPR (general practice residency) in 2006, then taught as a clinical instructor at The Ohio State University College of Dentistry. She also worked closely with Ed McGlumphy at OSU's dental implant center. Together, Zach and Anneliese moved back to Idaho and settled in Kuna. While Dr. Zach Haws was opening Swan Falls Family Dentistry, Dr. Anneliese Taylor worked at Terry Reilly Health Services in Nampa and Melba. She loved her patients there and is very grateful for her time there. Dr. Taylor enjoys running, reading, playing the piano, knitting and watching The Buckeyes play basketball and football. Dr. Anneliese Taylor has achieved extensive training in multi-disciplinary dental treatments. Her credentials include Family and Cosmetic Dentistry, Oral Surgery, Emergency Dental Care, and Children's Dentistry. She can treat your teeth, restore sore gums, and brighten your smile. Dr. Taylor has received awards in Prosthodontics with the Waterpik technologies. The Prosthodontics Award was conferred at her dental school and then she was nationally recognized with the "Best of the Best Award"the following year. As a quality minded dentist, she respects and work closely with the technicians who provide assistance fabricating the materials used in your dental treatment. Feel free to ask us about the different products or laboratories we use. Dr. Taylor is committed to not "selling dentistry" and instead treats teeth. She will always take the most conservative approach and not sell you treatment that is unnecessary. You will work with her on the treatment approach after she has informed you of the different options. She truly believes that you should have a say in your treatment since there are many factors that play a role in deciding what is best for your oral health. Paul Blaisdell was born and raised in the Treasure Valley. He comes from a family of dentists and this is where his passion for the profession stems from. After graduating from Caldwell High School, Paul served a mission for his church in Sonora, Mexico. Upon returning from his mission, he enrolled at Boise State University. While pursuing his degree, he met his wonderful wife, Shalyn. Paul went on to graduate with honors from BSU in 2014 with a Bachelor's degree in Health Science-Science Emphasis, with a Minor is Spanish. 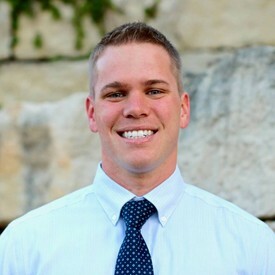 That same year, Paul was accepted into the Idaho Dental Education Program and began his dental school journey spending his first year at Idaho State University and the following three years at Creighton University School of Dentistry in Omaha, Nebraska. Creighton's clinical education provided Paul with the opportunity to treat patients in a variety of different scopes; including periodontics, general dentistry, pediatric dentistry and extensive training in endodontics, implant placement and oral surgery. Although Paul, Shalyn and their four kids loved their time in the Midwest, they knew that if the opportunity to move back to Idaho presented itself, that they would take it. After graduating from Creighton in 2018, they wasted no time in getting back to the Treasure Valley so Paul could join the Swan Falls team. Dr. Blaisdell firmly believes that the patient's well-being is of the upmost importance and is committed to providing the best treatment that fits the patient's needs. Dr. Blaisdell enjoys skiing, boating, playing football and soccer. One of his biggest passions is Boise State football. Go Broncos!